The FIRST Outpatient Research Unit (FORU) is part of the IIMS-Clinical Service Core known as the FIRST Program. 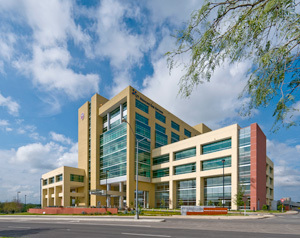 The FIRST Program operates several different clinical research units at various sites around San Antonio and South Texas. The FORU is the primary outpatient site for adult studies conducted within the University. It includes a 2,500 sq. 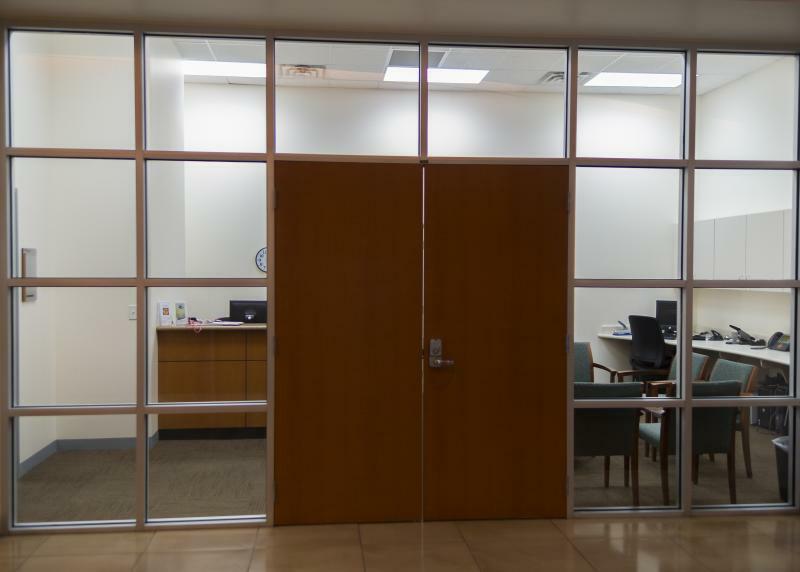 ft. core facility and several ancillary service areas conveniently located within the Medical Arts & Science Center (MARC) which is the primary faculty practice building of UTHSCSA. The facility is staffed by 3 R.N.’s, an Ultrasonographer, and a Medical Technician and includes a patient waiting area, an interview room, 2 standard exam rooms, common clinical facilities for biometric measurement and sample collection, an ultrasound exam room, and a sample processing laboratory complete with refrigerated centrifuges and a -80°C sample freezer. The FORU has negotiated agreements with various clinics, parking, and food service in the MARC to provide ancillary services in support of research so that all necessary services are available to investigators protocols to support translational investigation. The FORU’s location within the MARC maximizes the efficiency of clinician scientist participation in research and provides a “one-stop” convenience for patients enrolled in clinical and translational science projects. 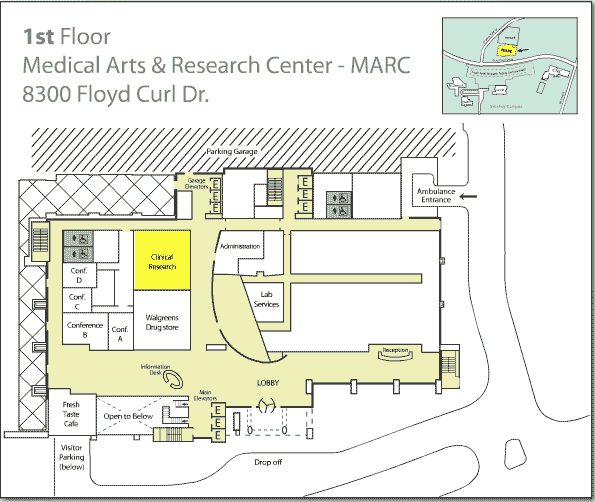 The Clinical Research space is conveniently located on the first floor of the MARC, just inside from the parking garage.